What unique treasures can you create with beading? Here is an example of a stunning necklace and matching earrings that Dusti created from two simple strands she found at Janu Gems Trunk Show this past weekend. 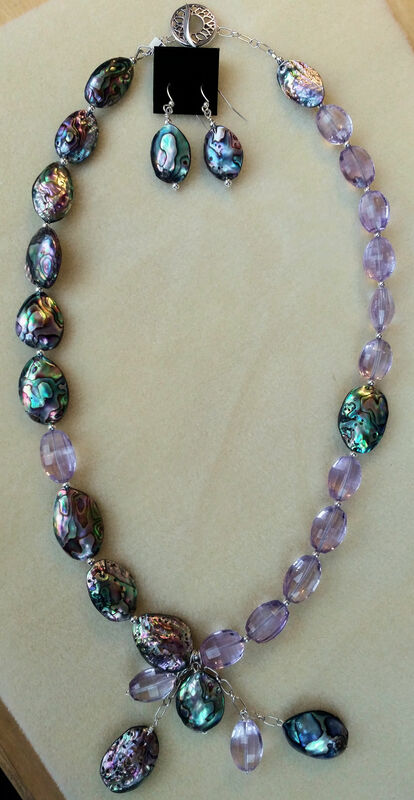 Abalone & Amethyst, combined with Sterling Silver Chain and a Toggle. It’s not complicated. And we can help you, too.